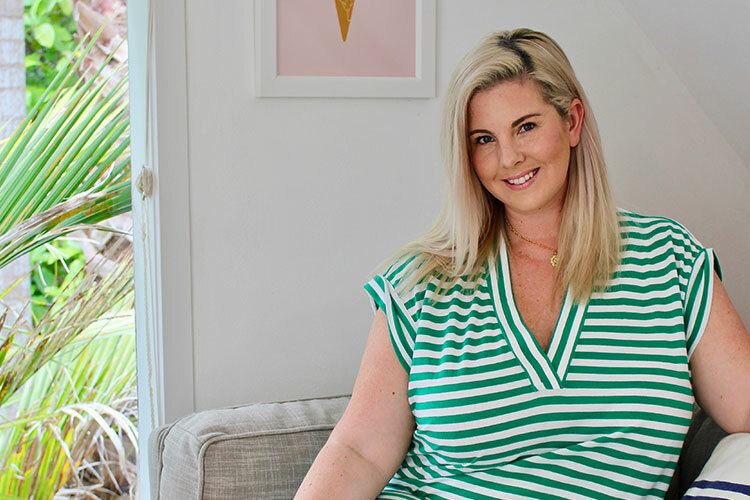 Plus size blogger from The Style High Club, Nicky at home wearing the Emerge V Neck Tee Dress. Lots of colour; apple green, mustard yellow, red, pink and orange will be my go-to’s. Cute wicker or straw bags. Denim shorts and skirts. Layered short length pendant necklaces. Oversized and bedazzled sunglasses are also on my must have list! Coco Mademoiselle by Chanel is my absolute favourite. Such a classic. Fake it until you make it. This is a good little trick, it’s helped me out of my less than confident moments many times. I just bought ‘The Break’ by Marian Keyes. She is one of a group of female authors I’ve been reading since my 20’s – she’s so funny, and easy to read – I can never walk past her new releases. Champagne if the budget allows!! But my normal Friday night go-to is a chilled glass of Rosé. This is such a hard question, I literally had to phone a friend to answer this one. Being completely unbiased, she said ‘You bring out the best in people’. Needless to say my friend is ‘keeper’. Follow Nicky on social – find her on Facebook and Instagram! Festive Fun at Together HQ!